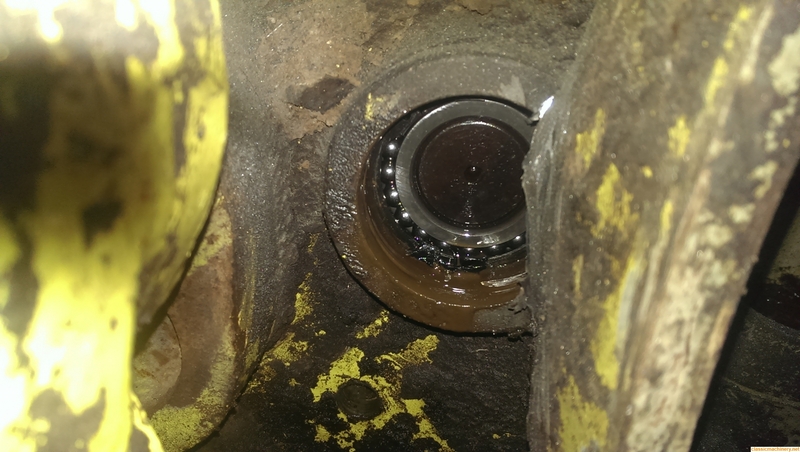 After removing the track and drive chain I found the bearing, located in the frame housing (brake side) for the output shaft had disintegrated and the transfer pinion shaft and large output gear are wrecked. 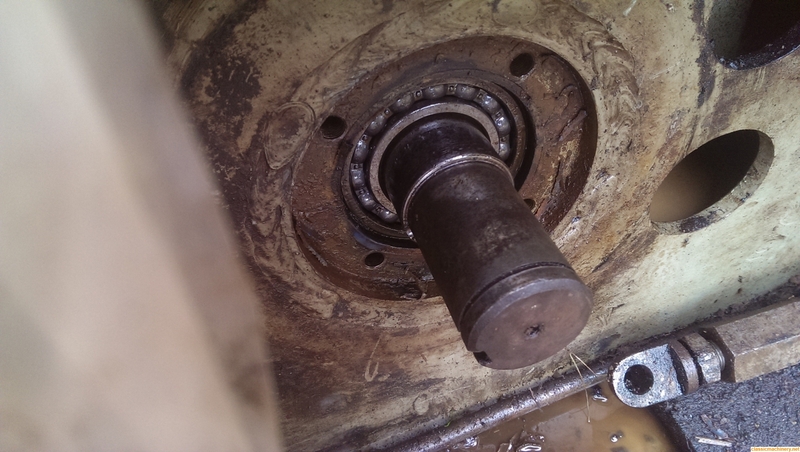 1) Remove plug, secured by circlip, located between Chain case and track motor....Workshop manual says to use "drawing Bolts" but I need to know thread size e.g. 1/2" UNF? 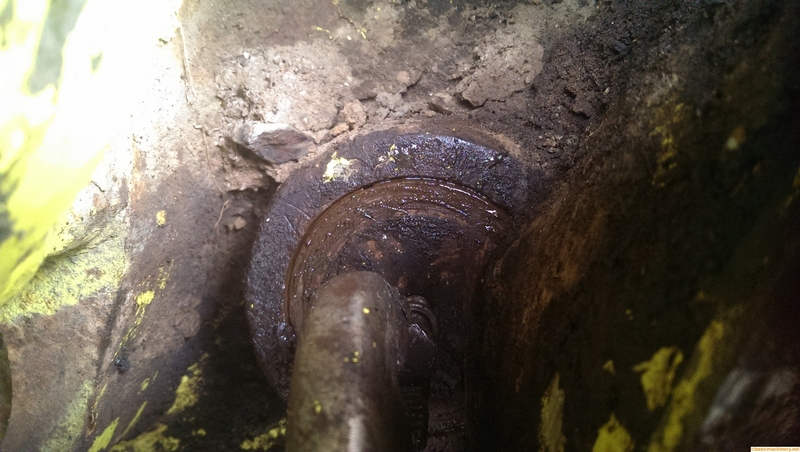 2) remove bearing retainer located beneath Brake pulley...again, which size of drawing bolts required? 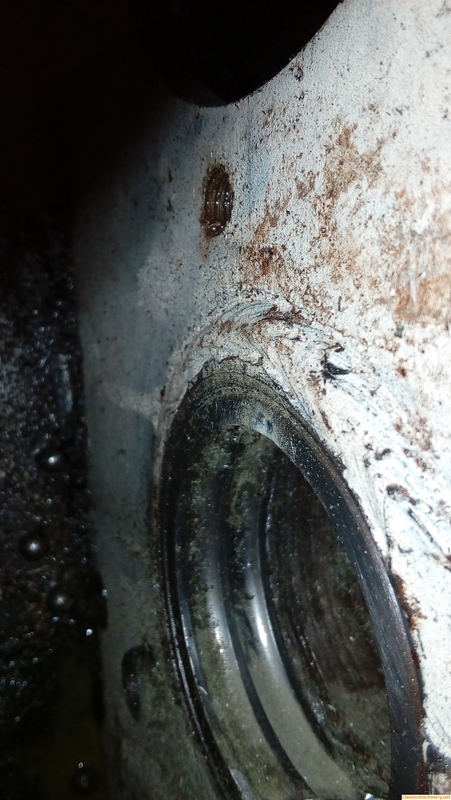 3) Is there a part of the outer bearing race left in the housing in the frame in these pictures and how to remove them? Alex this type of failure is not unknown on the 580 series of machines; bearings should be off the shelf, the gears should be available second hand from various sources, PM me if you get stuck, all the threads will be either UNF or UNC while I cannot tell you the exact threads just look and if it appears to be a coarse thread then it is UNC and a fine thread is UNF hope that helps. Thanks..I'm away for a few days so won't be back till Monday..Will let u know how I get on..
if your Hymac has a 'diamond' shaped plate welded to the front of the undercarriage where the tub joins the front cross tube then this is an early type undercarriage, the later one's did not have this extra plate welded on, hope that helps. I ordered the parts from Richard Gould, Hymac Parts and Service on 11th December and have, to date, received nothing...I emailed on 18th for a tracking number (no reply) and phoned that evening...He phoned back and said the stuff had been posted that day (18th Dec)..Still nothing. I have bought and sold with Richard in the past, not always the fastest response and perhaps he is away? I certain you will be sorted out in due course. I found Richard very straight to deal with. I too am quite straight to deal with and if Richard Gould has a problem either sourcing the parts or is away or the like, he would find me quite understanding. 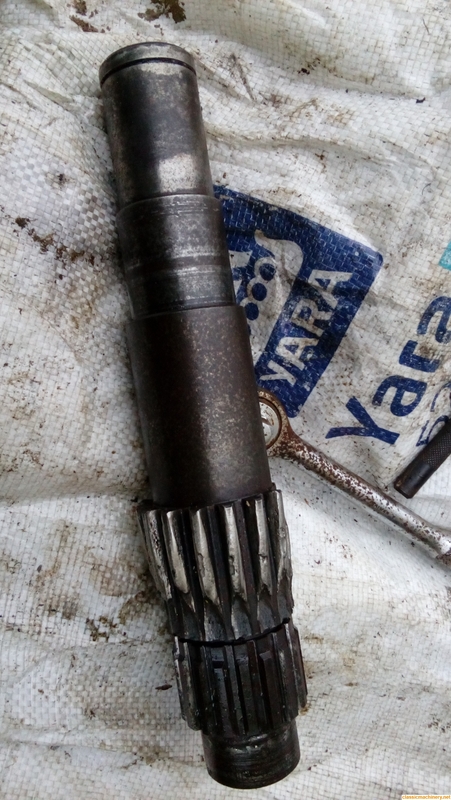 The bottom line is, however, that I need either the parts or a refund, forthwith (even proof of postage) as my machine is now exposed to the elements while he dithers. It is simply unacceptable that he has lied to me on 2 occasions about sending the parts and providing me with tracking for said. He now refuses to answer emails which I know he can receive on his mobile phone. My patience is wearing wafer thin. I am giving him every opportunity to be straight with me, but he is either unwilling or unable to do this. I am reluctant to take action but I will be forced to, so the ball is in his court, so to speak. Beleive me, I would like nothing better than to receive the parts or a refund without the added hassle of a claim against him on the mouth of Christmas. Anyone in my shoes would feel the same. Alex, I would try and cover your open machine undercarriage with some tarpaulin sheet or the like, it's not ideal but better than nothing.